Why not come and play a relaxing game of golf in Italy? The ideal Italian holiday? sun, sea, good food and…golf. Many people still think that golfing in Italy is very expensive and only for the elite but recently, even if slowly, things have been changing. If you like travel, nature, wide and uncontaminated spaces, long walks, you can't help but be fascinated by playing this sport which lets you get some good physical exercise while staying in close contact with nature. Golfing in Italy allows you to enjoy some of the best golf courses in Europe and then visit the famous art cities and historical monuments. Not only that: you can also fit in some serious eating and shopping while you are here. 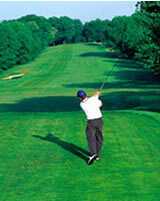 Use our website to find out about the golf courses in Italy and chose the course you prefer! 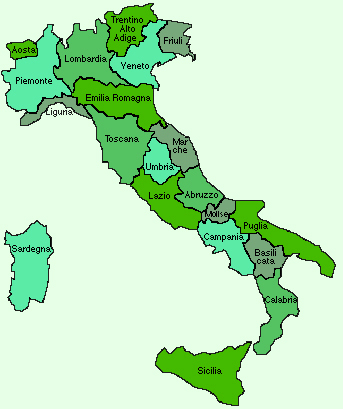 Click on the link for a region and then choose your destination golf course in Italy!